Dell's Inspiron range is aimed at consumers and covers a range of needs and prices. 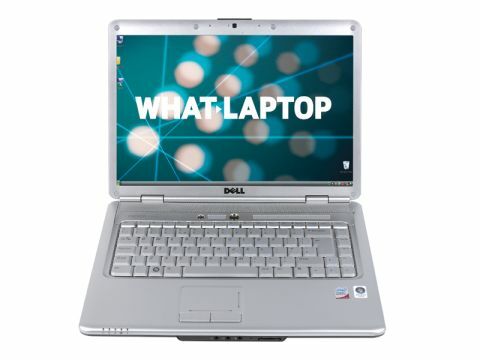 The Inspiron 1525 effortlessly combines style, performance and usability at an affordable price. The 2.7kg chassis is light enough for basic travel. Its 278-minute battery life further aids mobility. The silver chassis is made from plastic and the lid can be customised from a choice of colours, adding a touch of style. We found the usability of the 1525 to be outstanding. The keyboard is well-spaced with a comfortable typing action. Media keys above the main keyboard let you browse music and video ﬁles. The wide touchpad is equally easy to use. The stunning 15.4-inch screen is bright and vibrant, and ideal for home use. The integrated Intel GPU lets you edit photos and videos and play older games, but is limited for more demanding tasks. Home and ofﬁce performance is more capable. The dual-core Intel processor and 2048MB of memory keep all applications running quickly, including ofﬁce applications, photo editing software and even anti-virus scans. The 160GB hard drive is doubled by several rivals, but is ﬁne for most uses. The built-in card reader supports eight of the most common Flash storage formats, and the DVD rewriter lets you create CDs and DVDs. The pre-installed software is ideal for ﬁrst-time buyers. Roxio Easy Media Creator Suite can be used to copy and label your discs, and Microsoft Works provides entry-level ofﬁce tools. There's little not to like about the Inspiron 1525. It's stylish, affordable, powerful and portable. Add the pin-sharp screen and great usability, and you've got a great laptop ideal for a variety of tasks.